Bickering and politics in education have sidetracked what should be our top priority: students. School choice is here to stay, so we must all play a role and seek out collaborative models in creating a better education system for our children and the region. The Los Angeles Unified School District’s reform efforts have created many options in the school system: magnet schools, pilot schools, partnership schools and charter schools. They have also created zones of choice in many of our academically underperforming communities. Despite these choices, many children are still not receiving the education they deserve, and that is unacceptable. Every two years, millions of dollars are raised and spent in an effort to control the direction of education reform, with $6.1 million across the three most recent contested Los Angeles Unified board elections alone. What if the dollars that get spent on campaign consultants and voter mailings went directly to supporting the education of low-income students? What if the opponents who have dug in on issues of governance could find points of commonality? What if the attention was on students? The last several iterations of education reform policy, both locally and nationally, have been framed as “competitive reform.” Students compete with each other and with themselves on standardized tests. Their aggregated scores set schools and districts against one another for accreditation, funds and continued existence, while charter schools compete with district campuses for enrollments. Replacing our competitive reform framework with an agenda of “collaborative reform” can transform educational opportunities for low-income students in Los Angeles Unified – and can turn entrenched political opponents into partners for change. First, the establishment of the Los Angeles Promise Neighborhood and the Los Angeles Promise Zone by the White House has supercharged place-based intervention across large, connected low-income Los Angeles communities. By focusing on a neighborhood, bureaucratic walls are beginning to tumble. School officials are joining social service agencies and workforce development professionals at the same table. Also known as “collective impact,” agency-level collaborative reform acknowledges that many education challenges must be met outside the classroom, addressing families’ economic challenges with job training, financial literacy or other supports. Place-based collaboration finds social services co-located in schools, so a student can get tutoring while her mother finds out about available transportation subsidies, or a young man who has “disconnected” from school can find a job and take a GED class in the same community center. But the current competitive framework actually disincentivizes a focus on disconnected youth, whose exit from the school system can boost averages. The early results are encouraging. Promise Neighborhood graduation rates have climbed steadily upward at a rate of 6.6 percent. Individual schools have registered stunning achievements, like the 94 percent graduation rate at Cesar E. Chavez Learning Academies-Social Justice Humanitas, or the 40 percent acceptance rate to UCLA at Hollywood STEM Academy. Another example is The Education Success Project hosted at Loyola Marymount University’s School of Education, which began to host periodic gatherings on Saturday mornings where educators serving the same communities in charters, pilots and district-run schools could share knowledge away from the governance wars. Forging alliances at the neighborhood or community level can productively narrow focus –while, ironically, expanding it. The Saturday morning principal sessions have proven that. We expected that these sessions would let ostensibly “rival” educators share observations about their fields. We were delighted to watch as they enriched each others’ understanding of their specific students and those students’ families. Place-based education reveals that families themselves are a medium of collaboration. As charter elementary schools feed into traditional middle schools that feed into district high schools, principals and teachers who may have been uncommunicative or even frosty have common stakes in students’ progress. (This has come into sharp focus as three Hollywood schools with STEM focuses begin to streamline their curricula.) Partnership ceases to be an abstract notion and becomes a requirement to do right by individual students. And finally, access to student-level data has smoothed one of the challenges inherent to large-scale collaboration. The unprecedented data-sharing policy that Los Angeles Unified signed in 2015 has allowed groundbreaking progress at the quantitative level. The act of pooling data – which is protected by strict privacy protocols – now lets educators track student achievement individually and geographically. Schools can evaluate programming’s effectiveness by student or by neighborhood, and tinker accordingly. Competitive assessment practices have fueled controversy, but assessment can cultivate collaboration too. These heartening examples are providing rare creative approaches to giving Los Angeles students and their families the support they need. Collaboration can be time-consuming, but it results in lasting rewards. This innovative spirit recalls the dawn of the charter school movement, when teachers’ unions supported charters in the spirit of Deweyan experimentation. As collaborative reforms continue, we hope that we will see a truce in the governance wars and renewed attention to bringing to our students, families and schools the partnerships and services that will break the cycle of poverty. 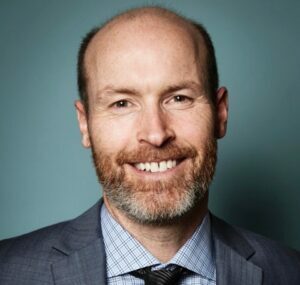 Dixon Slingerland is executive director of the Youth Policy Institute. 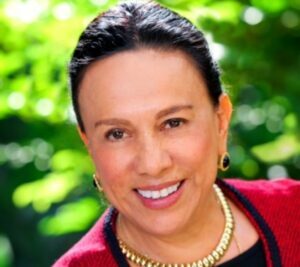 Antonia Hernández is president and CEO of the California Community Foundation.